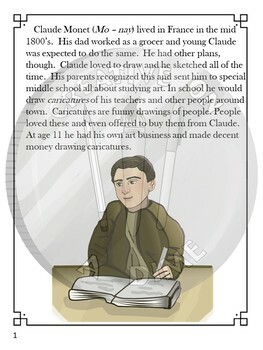 Learn about the childhood and early career of Claude Monet in this artist enrichment packet! 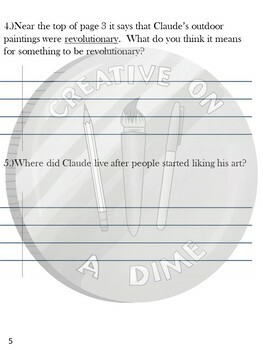 Included are three pages of informational text, three pages of comprehension and art analysis questions and one word search. 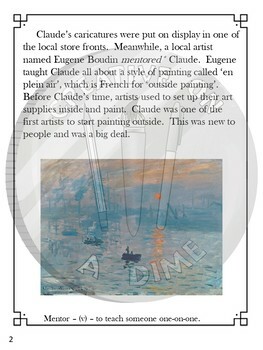 Ideal for fast finishers or as do-nows, this artist packet is a great addition to the art room. 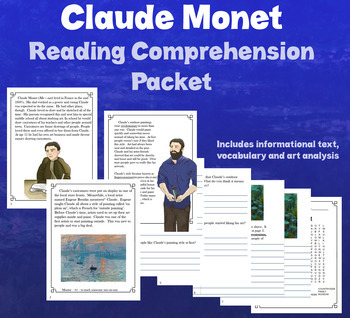 Also check out my Keith Haring Reading Comprehension Packet and Famous Artist Reading Comprehension Bundle.